When it comes to choosing an ultimate style of fishing, I think of top water fishing. Top water is an explosive style of fishing. It's the only style of fishing that allows you to see your bait from start to finish. This adds extra excitement as the anticipation of a fish breaking the surface to destroy your lure will keep you on the edge. 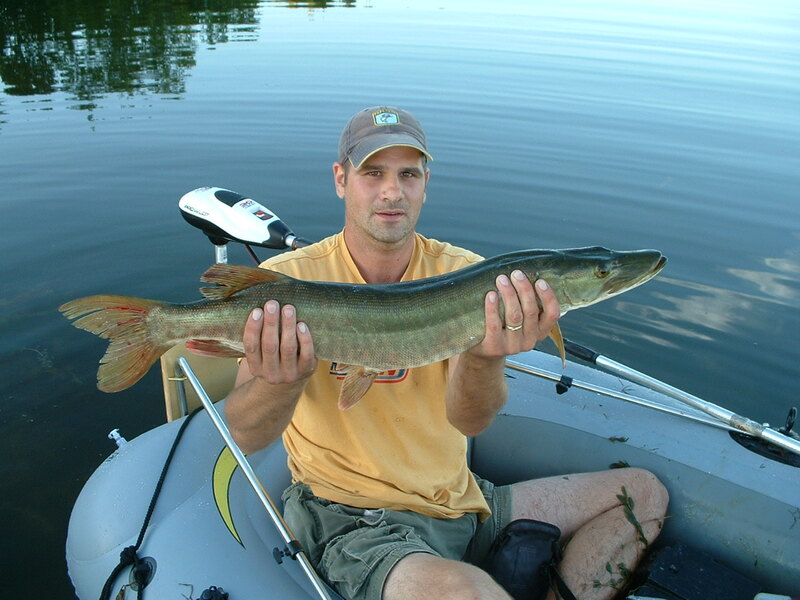 Top water Musky fishing is the ultimate rush, doing it out of a rubber dinghy is insane. I caught that on a Zara Spook. It was one of the best fights I've had. A beautiful species of fish that has earned my respect. Top water fishing is one of my favorite ways to catch Bass. 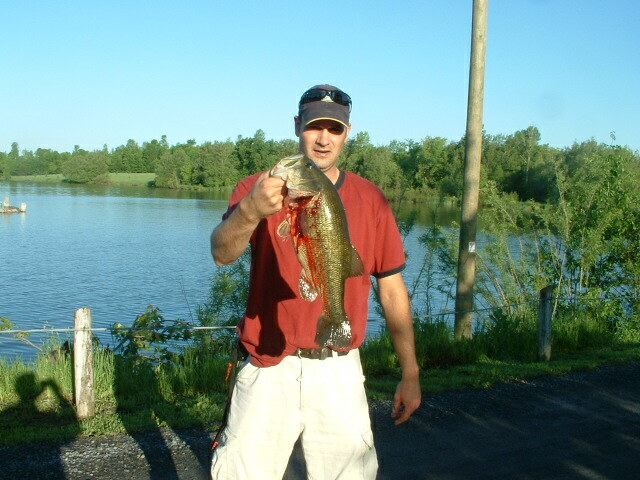 I caught that six pound Small Mouth on a top water lure. In the rubber dinghy, that was a memorable fight as the fish jumped out of the net and I had to fight it again. My first and only Bass double header was on a Zara Spook, I thought I had an eight pounder on. Instead it was two for the price of one. That was a good fight. That Bass was caught late morning on a popper. The lure was actually in the mouth and half out the gills. I did a live release. 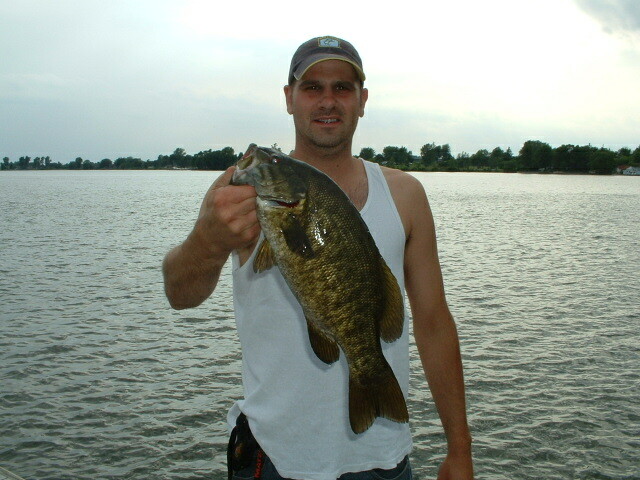 A nice Smallie that was caught on a popper. 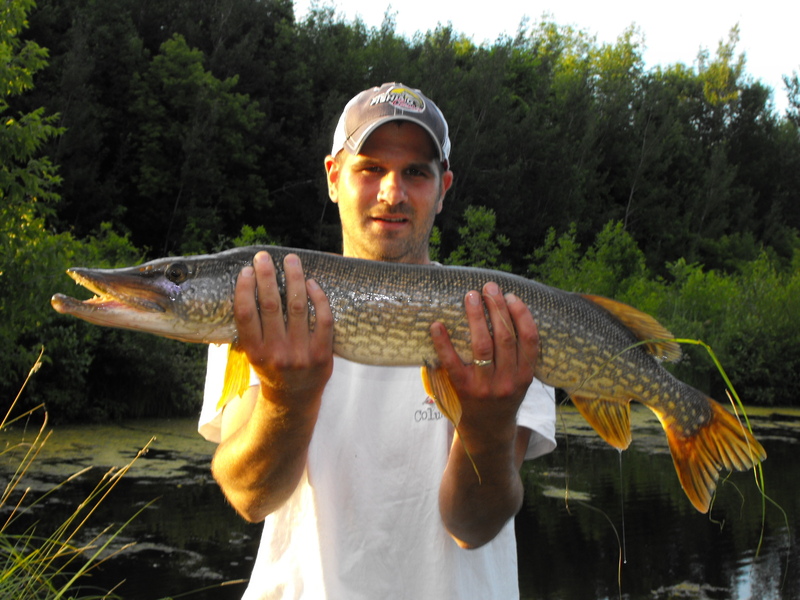 Pike love top water lures, they tend to be somewhat disrespectful as they will attempt to destroy your lure. They might even roll on it first and then follow up with a full throttle attack. Top water Pike is a lot of fun. 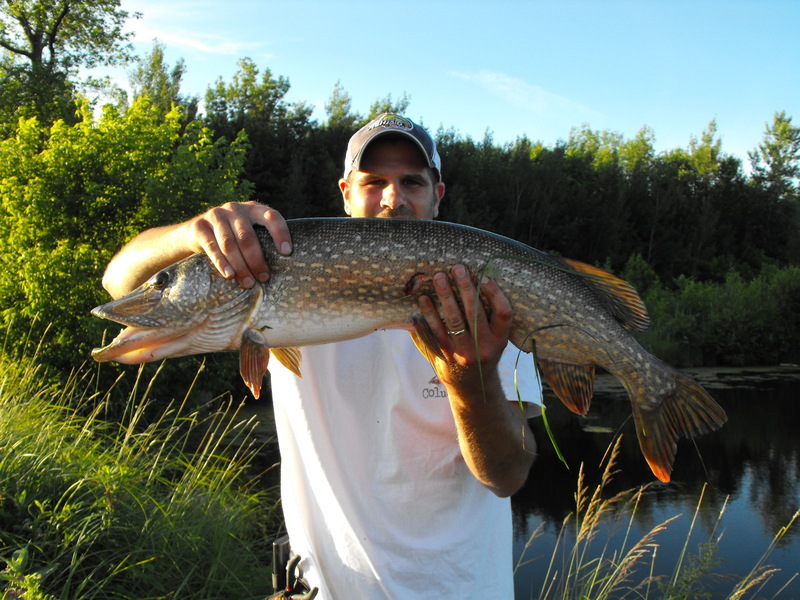 Pike have a soft spot for top water lures, honestly they can't pass up an opportunity to ambush what seems to be any easy meal strolling along the surface. I love Gators, even if they don't love me back. Top water Gar fishing is challenging but good patience will be rewarded with one heck of a fight. Top water Crappie, it does happen. That was actually a pretty nice fish. A smaller popper may be more effective. Below is a couple videos I made, most of the fish were caught on top water. Those videos show some top water fishing, the lightning in the second video was amazing, the hair on the back of my neck was standing straight up. Top water fishing is everything that can make a fishing trip exciting. It's very simple to learn the techniques because you can see your lure as your working it. I have been top water fishing forever and it's the one method I believe I have mastered and I am 100% confident I will catch fish with this method. The key to success is patience and timing, which can be achieved through practice. Power Pro has been an important key to my success with top water. Most tournament anglers would consider 20 pound to lite. I like the 20 pound for smooth long distance casts. This line also floats which is good for top water. I have had one fish break off in the past four years using Power Pro, and that was a Musky. I always always always have a light weight steel leader when fishing top water, no matter what. Most consider a leader unconventional, but it has helped to land me a lot of fish and it doesn't affect my presentation. Sometimes you have to forget what everybody says and try different things. I cast in trees all the time, and I like to cast a frog onto shore and bounce it in the water, this set up has given me a lot of confidence, I don't worry about where or what I cast into. One of the biggest myths with top water fishing is that it's only good in the early morning or in the evening. If you believe this your missing out on some great top water action. Please don't let anyone tell you that. Above I caught that Bass right after lunch last summer. Those fish were caught midday on a top water lure. I have caught some of my best fish at those times. Pete Garnier is probably Canada's best frog angler, maybe one of the best in the world. He uses only frogs and has won many tournaments doing so. From blast off to weigh in the only thing on Pete's line is a rubber frog. Pete himself will tell you, you can top water fish all day and be successful. For me top water fishing is the ultimate, it's the ultimate rush, it's the ultimate challenge, and at the end of the day, it's been my ultimate success.